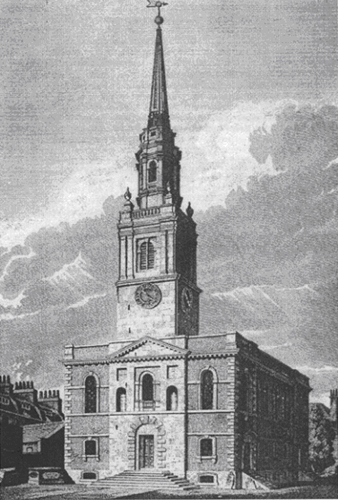 St James’s, Clerkenwell traces its origins to a Benedictine nunnery that was founded in about 1100. 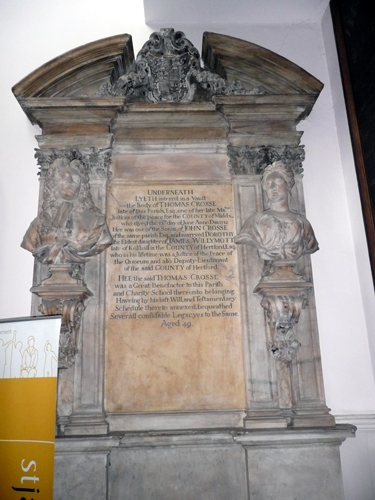 At the Dissolution the site of the nunnery was granted to the Duke of Norfolk, but the nun’s church became the parish church of Clerkenwell. The centre of the west façade is built of stone and stone details are employed on an otherwise brick-built structure. 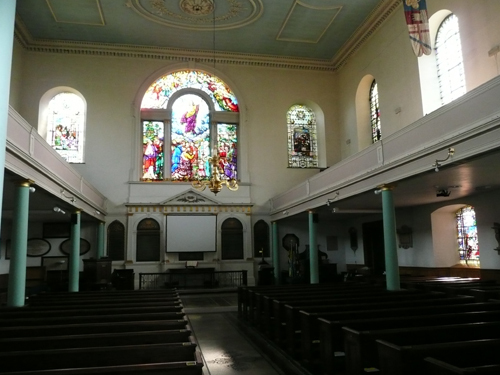 The east end has a large Venetian window with pediment above and stained glass by Heaton, Butler and Bayne of 1863. The interior is notable for having a double gallery at the west end and for the staircases that lead to them. The upper galleries were added in 1822 for the children of the Sunday-School and the back parts of the upper galleries were for the use of the poor. 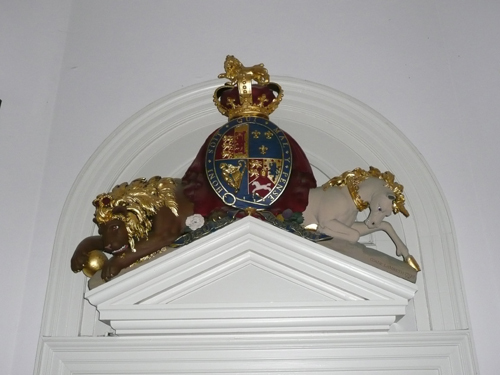 At the base of the staircases are grouped a fine collection of monuments including that to Thomas Cross, of 1729, by Roubiliac. 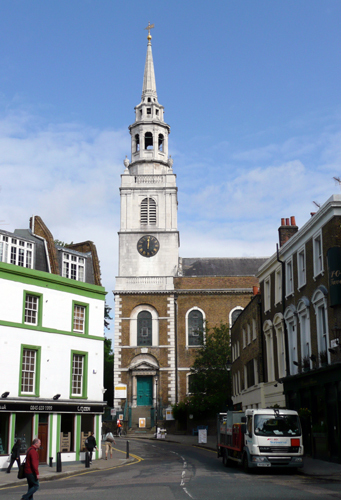 The tower and spire were restored in 1849 by W. P. Griffith, and Sir Arthur Blomfield restored the church and rearranged the ground floor in 1882. 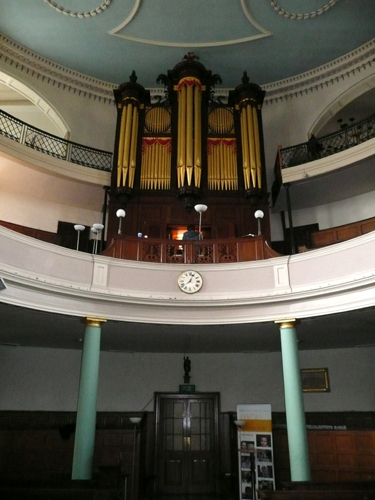 The organ was built in 1792 by George Pike England to replace the one by Richard Bridge. The new organ had three manuals, toe pedals and a Spanish mahogany case. This, together with much of England’s pipe work, still survives. The rococo detail is noteworthy, especially the carved drapery over the pipes. It was rebuilt in 1978, returning to the original style after some drastic alterations made in 1928. I was asked to provide general advice on the redecoration of the interior of the church.